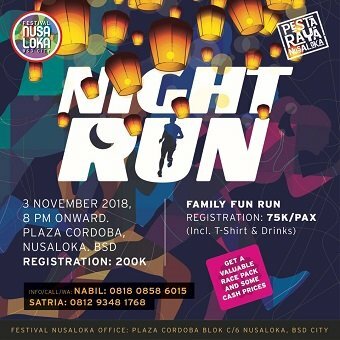 Celebrating the 10th Anniversary of Tangerang city, you are all invited to Festival Nusa Loka on 3 – 4 November 2018 to have fun! There will be live performances, bazaar, musical drama, and most importantly the fun 5K night run. They also have Family Fun Run for those who wants to bring their children to the festival.